When Hollywood vets link up! Nothing like a quick girls' session to let your hair down in between "Empire" takes. Vivica A. Fox and Tasha Smith took a break from filming scenes for a new season of "Empire" for a day out in Chicago recently. 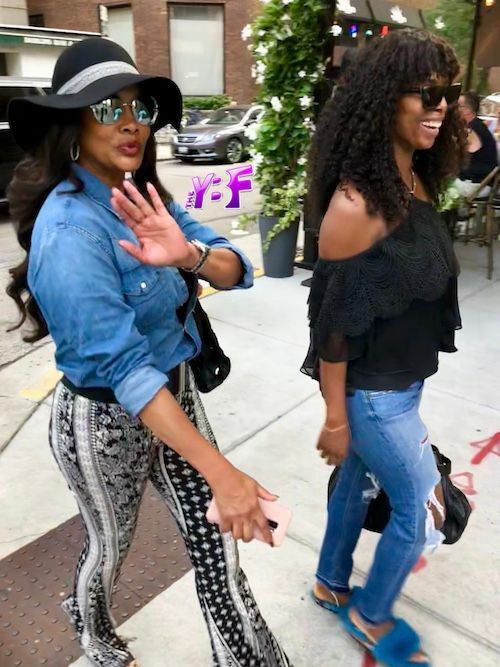 Keeping a low-profile (as low as one can get in an oversized hat, oversized shades and a loud print), the YBF actresses were spotted incognito as they strolled the streets of downtown Chicago. They were headed to the trendy Viceroy Hotel for appetizers and white wine. Our kind of perfect summer evening out. While it was a relaxing evening, the ladies still found time to go over their lines for the hit FOX series. Aunt Viv and Tasha will return for season 5 to reprise their roles as Candace and Carol, Cookie Lyon's (played by Taraji P. Henson) older and younger sister, respectively. By the way, Aunt Viv is gearing up to launch her first talk show, "Face The Truth," produced by Dr. Phil. It's scheduled to premiere September 10th. "Empire" will return for another round of drama and antics on September 26th at 8/7c on FOX. Collect all the coins, Viv! 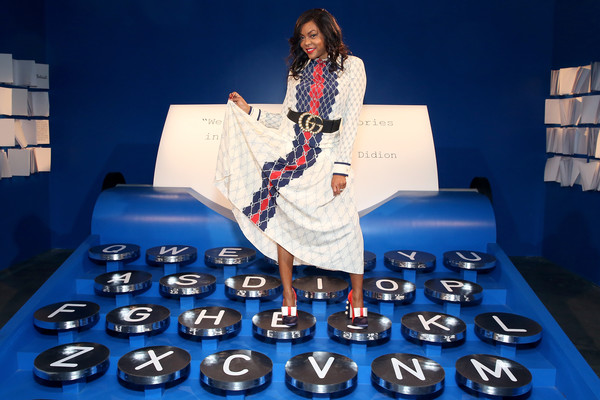 Taraji P. Henson is paying it forward double time. The "Empire" star just launched the Boris Lawrence Henson Foundation in honor of her late father in an effort to help eliminate the stigma surrounding mental health in the black community. The goal of the foundation is to provide scholarships to black college-bound students majoring in mental health. Also, the foundation will offer health services to youth in urban communities and schools to help lower the school-to-prison pipeline rate. “I named the organization after my father because of his complete and unconditional love for me; his unabashed, unashamed ability to tell the truth, even if it hurt; and his strength to push through his own battles with mental health issues,” the recently engaged actress said. In her Around The Way Girl memoir, the YBF actress opened up about her relationship with her father. He died in 2006 at the age of 58 after battling liver cancer. Now, she's on a mission to help black people who face trauma on a daily simply due to the color of their skin. The Hidden Figures star will be celebrating the launch of the foundation with a fundraising event, dubbed "Taraji's Boutique of Hope," set to go down September 22nd in LA. Cute name. Funds raised at the event will go to help BLHF provide resources to battle mental health issues in urban schools. The best part is that BLHF will team up with school districts to help to provide mental health therapists, social workers and counselors to African-American children in need and other nonprofit organizations that offer mental health wellness programs as well. This is exactly what's needed. Taraji may have missed the girls' evening out with her on-screen sisters, but she found time to spend with her fiance/former NFL star Kelvin Hayden. The couple, who got engaged in May, was all smiles after turning up at Beyonce and Jay Z's "On The Run II" tour stop in Chi-town a few days ago. Taraji will be starring in a new Will Packer comedy titled, What Men Want. She'll play an ambitious sports agent who was struggling to make progress until she magically got the ability to read the minds of men and uses her new perception to advance her career. It also stars Tracy Morgan, Aldis Hodge, Tamala Jones and more. It's a reimagining of the 2000 film, What Women Want. Peep the trailer above. The flick is set to hit theaters January 11, 2019.